A solar eclipse occur when the Sun – Moon – Earth in alignment and the shadow of the moon casts a shadow over Earth. As seen from the Earth, solar eclipse occur when the Sun and the Moon are in conjunction which only happen during new moon phase. 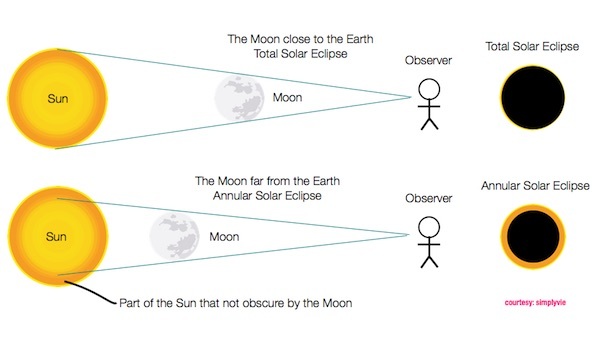 By the time of Solar Eclipse, the sun will be obscured by the moon. 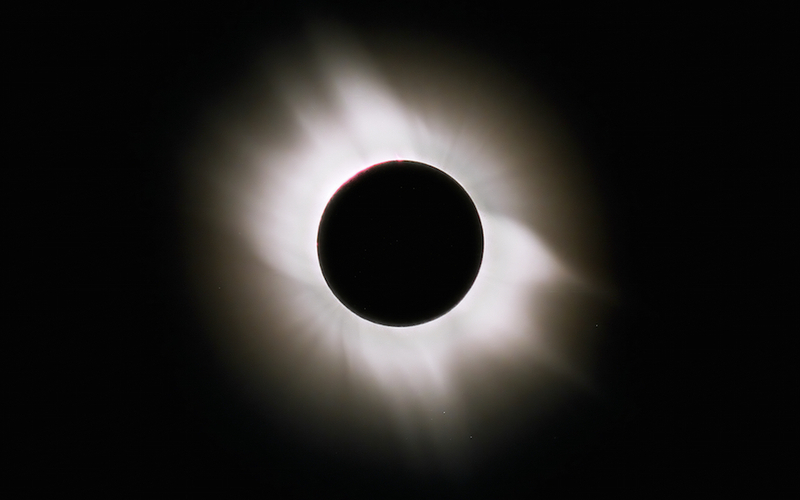 In total solar eclipse, the moon will full obscure the sun while during partial and annular eclipse, only part of the sun being obscure or block by the moon. During the eclipse, only area which the moon cast it shadow will see the sun totally or partially diminish from the sky. Earth, the third planet in the Solar System is 109 times smaller than the Sun. And If you want to fit the Earth to the Sun, well our Sun is so large that it can contains 1,300,000 planet Earths. The Moon is the Earth satellite. As the Moon orbiting the Earth, both of them are orbiting the Sun. So, there is a time when the Moon will passes between the Sun and the Earth. By the time our Moon in conjunction with the Sun, it will obscure the sun from our sight. Once the alignment between the Sun – Moon – Earth occur, it will create a cone of shadow. The re are two types of shadow, umbra and penumbra. Umbra is the part of the shadow where all sunlight is blocked out, it usually takes the shape of dark, slender cone. While penumbra is the shadow outside the umbra, it usually surrounding the umbra. Penumbra is lighter, funnel-shaped shadow from which sunlight is partially obscured. 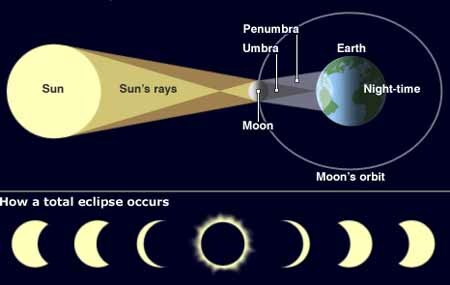 Observers in penumbra will only see the partial eclipse, while those who in umbra area will see the sun fully obscured by the moon and the darkness will take over for a few minutes. By the time of totality, you can also watch all the stars and planets that you can’t see during the daylight. Average distance of Sun- Earth ( 1 Astronomical Unit = 1 AU) is 149 597 870 km. And the Earth distance varies from 147 091 312 km in perihelion to 152 109 813 km in aphelion. The variation of the distance will be [(406700 – 356400)/((406700 + 356400)/2)] x 100% = 12% from it average distance. The Sun angular diameter varies from 31′.46 – 32′.53, or the angular semi diameter varies from 944″ to 976″. The ratio of the Sun diameter, Dsun, to the Moon diameter, Dmoon, will be approximately ~ 400. And the ratio of the Sun – Earth distance to the Earth – Moon distance will be 362 to 419 times. The ratio of the disk of the Sun compare to the disk of the Moon is 95% less or 110% bigger. This variation give us 4 types of solar eclipse. Total Solar Eclipse occurs when the disk of the Moon fully obscure the disk of the Sun, and observers which positioned in the direct path of the umbra will see the sun’s disk diminish into a crescent as the moon’s dark shadow rushes toward them across the landscape.And once the moon totally block the sun, people in totality path will see the beautiful corona — the tenuous outer atmosphere of the sun. TSE occurs when the disk of the Moon looks the same or bigger than the disk of the Sun. The disk of the Moon will look bigger than the Sun when the Moon is in the closest distance to the Earth. The longest duration for totality is 7 minutes 31 seconds, even though usually the totality duration is far less than 7 minutes. Annular Solar Eclipse occurs when the disk of the Moon only block the the central part of the Sun. It happen when the Moon looks smaller compare to the Sun. The average distance of Earth – Moon is 384460 km and its distance varies from 356395 km – 406767 km. The dark shadow cone of the moon’s umbra can extend out for no longer than 379322, which is less than the average distance from the Earth. The variation of the distance gave us the variation of angular diameter as well. 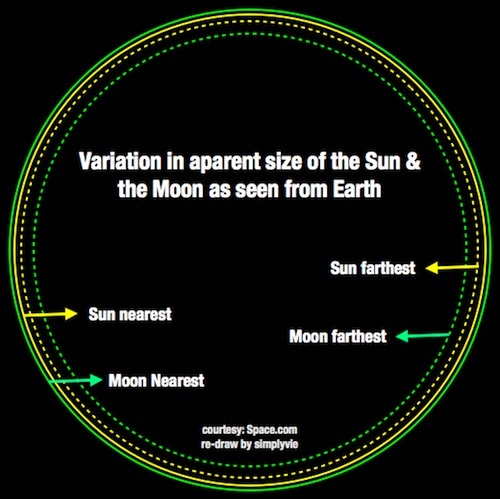 Which means when the Moon at some greater distance, than the disk of the Moon will look smaller compare to the Sun. And the tip of the umbra will not reach the Earth. In this case, a continuation of the umbra, named antumbra will formed and reaches the ground. Observers in the path of antumbra will see the “ring of fire”. The longest duration for the annular eclipse is 12 minutes 30 seconds. 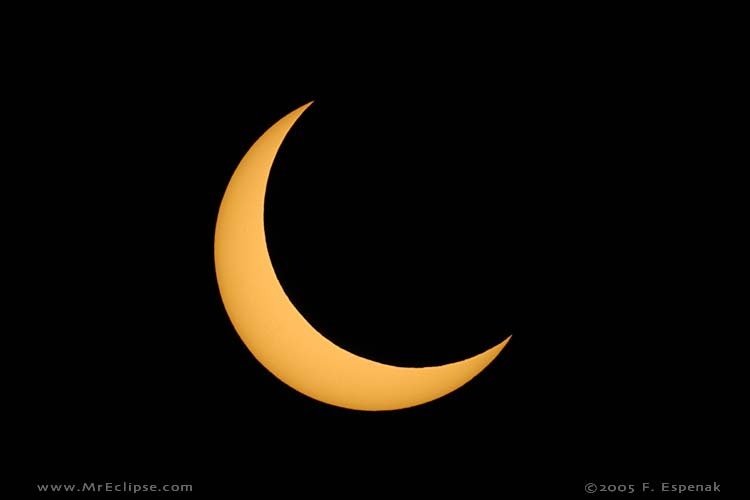 Partial Solar Eclipse occurs when the penumbra or partial shadow passes over the area. When the partial eclipse occur, only part of the sun will be block by the Moon and the other part will be visible. How much of the sun remains visible depends on the locations of the observer. The closer to the totality path, the greater the solar obscuration. Being in the border of umbra and penumbra, observer will see a narrow crescent sun. 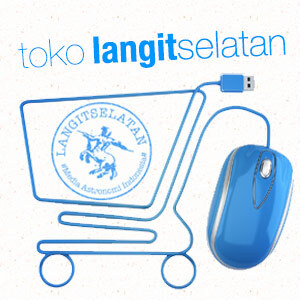 This eclipse also called Annular – Total Solar Eclipse, is an eclipse with two different type of eclipse in the same time. Hybrid Solar Eclipse usually has annular and total eclipse in a one eclipse. This type of eclipse occurs when the moon’s distance is near its limit for the umbra to reach Earth. It usually starts as an annular eclipse then it becomes total, and in the end it returns to annular toward the end of the path.